Es ist endlich so weit! Unsere kleine Etsy Maus bekommt ihr neues Zuhause zugelost! Aber bevor wir anfangen, möchten wir euch noch ein paar Zahlen um die Ohren knallen! 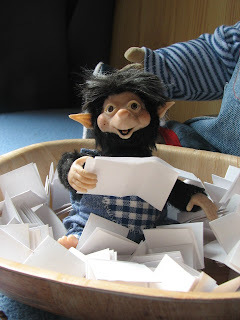 Das ist Blog- Rekord... soooo viele Kommentare und Zugriffe hatten wir noch NIE! Wir sind wirklich völlig überwältigt! ein besonderes Dankeschön an die Leser, die auch Posts bei uns kommentieren bei denen es nichts zu gewinnen gibt! It's finally time! 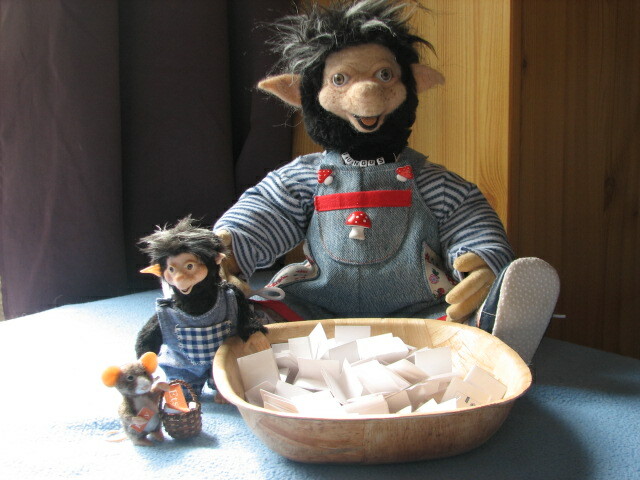 Our little Etsy mouse gets their new home be drawn! This is blog record ... soooo many comments and requests we had NEVER! an especially thank you to the followers who comment our posts even if there is nothing to win! Aber nun lasst uns endlich anfangen! Die kleine Etsy Maus ist ein bisschen aufgeregt, aber wer kann ihr das verübeln? 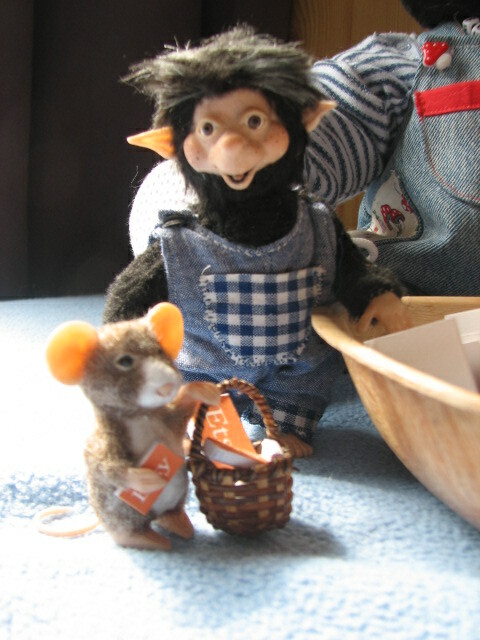 The little Etsy mouse is a bit excited...But who can blame her? Ich kann mich nicht entscheiden, welches ich nehmen soll! Okay okay... ich nehme.... das hier! okay okay... I´ll take.... THIS! Schau mal Wyrna... ich habe deinen Namen gezogen! Ist das nicht toll? Look Wyrna ... I drew your name! Isn´t that fine? I guess this means that our Etsy mouse will be a Dane! Ich gratuliere der Gewinnerin zu diesem super Gewinn. Nun wird die süße kleine Dänin, hmmm jetzt muß sie auch noch dänisch lernen. Wünsche Euch ein schönes Wochenende und es soll ja Sonntag richtig heiß werden, freu. Congrats to Wyrna! Thank you for a chance Melli! 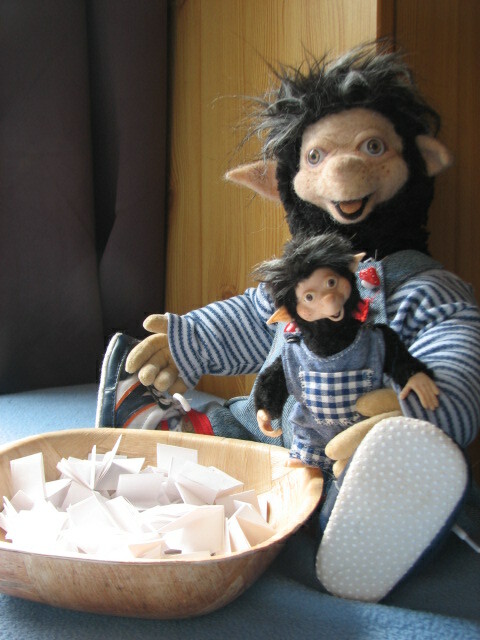 Danke Melli für die Chance die süße kleine Maus zu gewinnen. Ich gratuliere Wyrna ganz herzlich und wünsche dem Mäuschen ein schönes neues Zuhause. Thank you very much for such a positive giveaway! 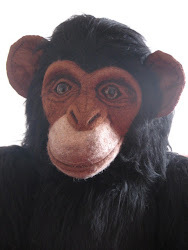 I am very pleased to have found your blog! I wish you success! Congratulations to the winner! Felicidades a la ganadora, que suerte?, es un ratoncito precioso. Herzlichen Glückwunsch an die Gewinnerin und dem Mäuslein wünsche ich eine gute Reise. 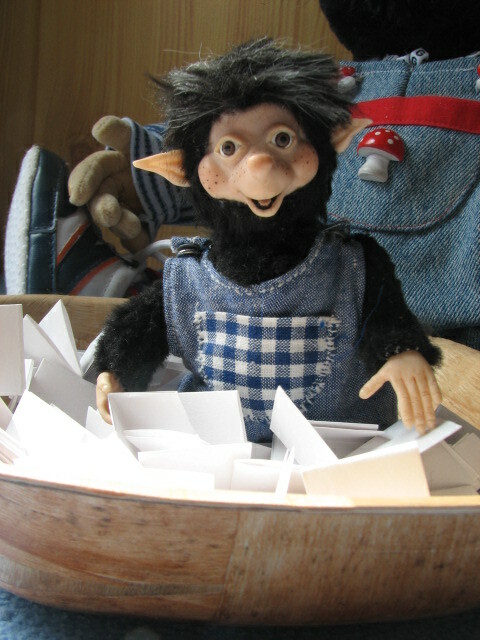 Der Gewinnerin Herzlichen Glückwunsch und dem kleinen Mäuschen eine schöne Zeit in Dänemark. Thank you Melli for this wonderful giveaway chance and also for the chance to get to know your lovely blog. CONGRATULATIONS to WYRNA, enjoy Melli's adorable tiny mouse :D!!! Melli, I was so happy I got the chance to participate in your give away and thank you for the draw!! Oh how glad I am, I just sat here and rolled your text down and down and suddenly my name came up. I'm so happy, I can not find words to express my joy. I feel so lucky, a thousand thank you. I promise to take good care of the little Etsy mouse. Fungus thank you, because you select my name. I will look forward to getting my little mouse and learn to know her. She looks so beautiful. I will send my address. Ich gratuliere der Gewinnerin ganz herzlich. Dem Mäuschen wünsche ich gute Reise und eine schöne Zeit in Dänemark. Liebe Melli, vielen Dank für die schöne Verlosung. 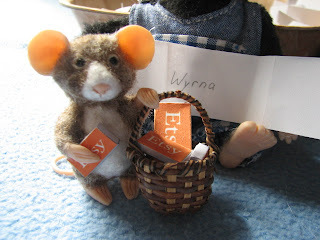 Congratulations Wyrna, you are so lucky that such a cute mouse will be winging its way to live with you. I'm only glad to have stumbled across this blog so I can see other lovely creations come to life. Thanks Melli for the opportunity. Well, thanks for the opportunity to participate in the drawing! 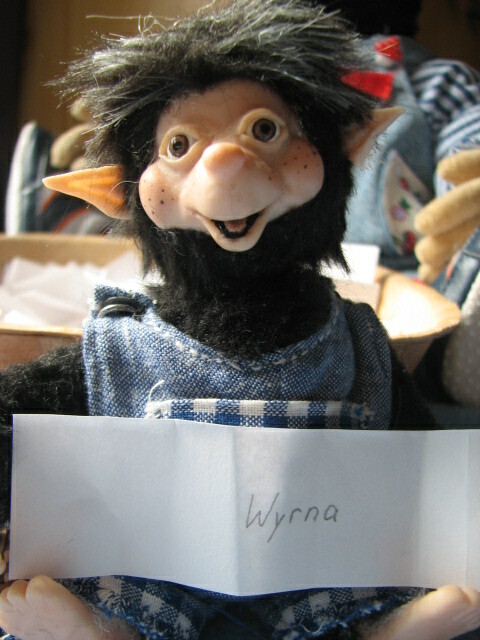 I am sorry I did not win but I am convinced that Wyrna will provide an excellent home to live for this sweetie. 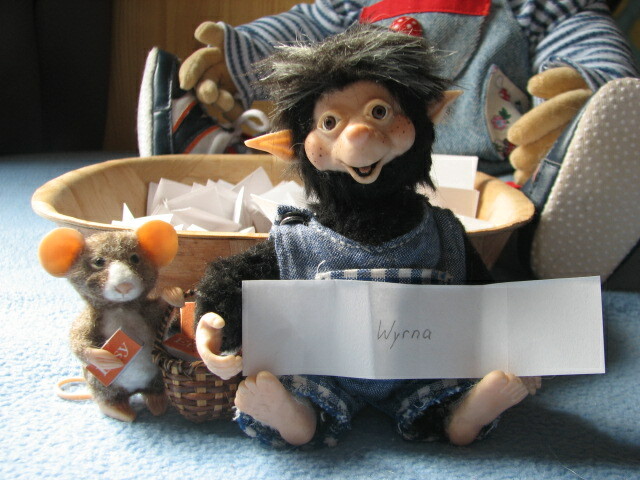 Wyrna, congratulations on winning, enjoy your little adopt-Etsy mouse :)! Felicidades a la ganadora!! y a ti gracias por este estupendo sorteo, me encanta el ratón. Un abrazo. Felicidades a la ganadaora que se va a llevar un simpático y cariñoso ratoncito del que me quedo enamorada. A tí muchas gracias por dejarnos soñar con tan maravilloso premio de tu sorteo.